Anxiety is a normal reaction to stress. 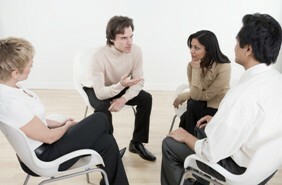 It helps us deal with a tense situation in the office, study harder for an exam, keep focused on an important speech. In general, it helps one cope. But when anxiety becomes an excessive, irrational dread of everyday situations, it has become a disabling disorder. 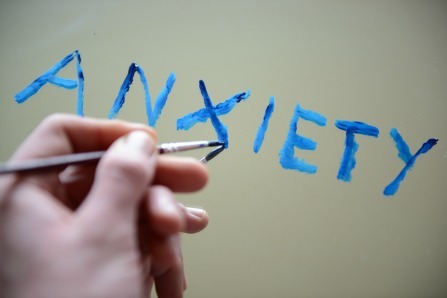 Anxiety Disorders affect about 40 million American adults age 18 years and older (about 18%) in a given year causing them to be filled with fearfulness and uncertainty. Unlike the relatively mild, brief anxiety caused by a stressful event (such as speaking in public or a first date), anxiety disorders last at least 6 months and can get worse if they are not treated. Anxiety disorders commonly occur along with other mental or physical illnesses, including alcohol or substance abuse, which may mask anxiety symptoms or make them worse. In some cases, these other illnesses need to be treated before a person will respond to treatment for the anxiety disorder. Effective therapies for anxiety disorders are available, and research is uncovering new treatments that can help most people with anxiety disorders lead productive, fulfilling lives. There are five major types of anxiety disorders. Generalized Anxiety Disorder is an anxiety disorder characterized by chronic anxiety, exaggerated worry and tension, even when there is little or nothing to provoke it. People with generalized anxiety disorder can't seem to shake their concerns. Their worries are accompanied by physical symptoms, especially fatigue, headaches, muscle tension, muscle aches, difficulty swallowing, trembling, twitching, irritability, sweating, and hot flashes. Obsessive-Compulsive Disorder is an anxiety disorder characterized by recurrent, unwanted thoughts (obsessions) and/or repetitive behaviors (compulsions). Repetitive behaviors such as handwashing, counting, checking, or cleaning are often performed with the hope of preventing obsessive thoughts or making them go away. Performing these so-called "rituals," however, provides only temporary relief, and not performing them markedly increases anxiety. Panic disorder is characterized by unexpected and repeated episodes of intense fear accompanied by physical symptoms that may include chest pain, heart palpitations, shortness of breath, dizziness, or abdominal distress. People with panic disorder have feelings of terror that strike suddenly and repeatedly with no warning. During a panic attack, most likely your heart will pound and you may feel sweaty, weak, faint, or dizzy. Your hands may tingle or feel numb, and you might feel flushed or chilled. You may have nausea, chest pain or smothering sensations, a sense of unreality, or fear of impending doom or loss of control. Social Phobia, or Social Anxiety Disorder, is characterized by overwhelming anxiety and excessive self-consciousness in everyday social situations. Social phobia can be limited to only one type of situation e.g., a fear of speaking in formal or informal situations, or eating or drinking in front of others — or, in its most severe form, may be so broad that a person experiences symptoms almost anytime they are around other people.